Work Injury or Employment Compensation Claim? Public Place Accident or through a faulty product? The legal system can be scary and confusing. However, RMB Lawyers are here to make it simple and to help you access your rights to compensation. Below are some short articles which deal with common circumstances that result in claims for compensation. 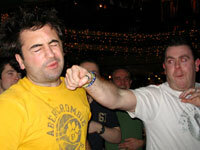 Have you been a victim of assault in a night club, pub or other venue? An extensive compensation system for asbestos diseases exists in all Australian states. 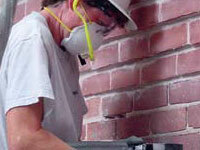 In NSW, the Dust Diseases Tribunal is a specialist court which deals with diseases caused by asbestos and other dusts. Did you know that you may have insurance in place that could well be the difference between affording to pay the bills and living comfortably or being financially devastated? The NSW Court of Appeal has recently delivered a judgment in an interesting motor vehicle claim? 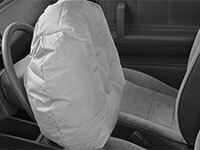 In recent years, the NSW Motor Accidents Compensation Act has been amended to include a provision for "blameless accidents". Did you know you can sue your employer for negligence as a result of a workplace accident? The NSW State Government made significant changes to NSW's workers compensation laws. As a result of those changes, there are now three classes of workers in NSW. That is, the compensation you are entitled to if you are injured at work depends on the type of job you have. If funding is a concern we can discuss your options.